Whenever I’m asked where to visit in the Napa Valley if I had only one day to taste, I always recommend the Napa Wine Company in Oakville. You’ll find it right next door to the Oakville Grocery (established 1881 and great for picking up picnic food). Here, under one roof, you can sample up to 30 wines made by the resident winemaker — or by winemakers who don’t necessarily want to use their own facility for small lot production, or by growers who want to test the quality of the fruit from their vineyards before going to the expense of investing in bricks and mortar. The Napa Wine Company, housed in a building that dates back to 1877, when it was the Brun & Chaix Nouveau Médoc Winery, is a custom crush facility where every vintage more than 60 wineries produce over 150 different wines. Now I can give the same advice to wine lovers visiting the Okanagan Valley who have only a few hours to taste: make a beeline to the Okanagan Crush Pad in Summerland. This new enterprise created by Christine Coletta and her husband Steve Lornie is set in an ultra-modern concrete-and-glass building in the 10-acre Switchback Vineyard. Until 2005 this plot was an orchard and is now planted to Pinot Gris. If you go, say hello to Echo the winery dog, a friendly black Lab. OCP’s resident winemaker is Michael Bartier, formerly the magician at Road 13 Vineyards. Bartier makes a variety of wines here under such labels as Haywire, Bartier & Scholefield, Bartier Brothers, Bella Wines, Harper’s Trail and Rafter F. Tom Di Bello, the longtime winemaker at CedarCreek and now consulting with Harry McWatters in Vintage Consulting Group, makes his Di Bello Syrah, Merlot and Chardonnay here. On a recent visit to the Okanagan I toured OCP’s 7,750 square foot facility and tasted a series of wines produced by Michael Bartier, including the third-harvest Switchback Pinot Gris 2011 (medium straw in colour; minerally, peach-pit nose; dry, grapefruit and white peach flavours driven by citrus acidity). In addition to extending Michael Bartier’s winemaking skills to clients, Okanagan Crush Pad offers what they call “field to market” expertise — assisting in the marketing, label design and promotion of wines produced at the state-of-the-art facility, which has a 25,000-case capacity. Coletta and Lornie have big plans. The company has purchased 317 acres of raw ranch land in Summerland’s Garnet Valley, where they will probably plant Pinot Gris, Pinot Noir and Cabernet Franc on the advice of their Chilean terroir expert, Pedro Parra and their Italian consulting winemaker, Alberto Antonini. Planting will begin in the spring, which will give See Ya Later’s vineyard on Hawthorne Mountain a run for its money as the highest vineyard in the Okanagan Valley (though those laurels may very well go to Don and Elaine Triggs for their Margaret’s Bench Vineyard at Culmina Family Estate in Osoyoos, which tops off at 595 metres). 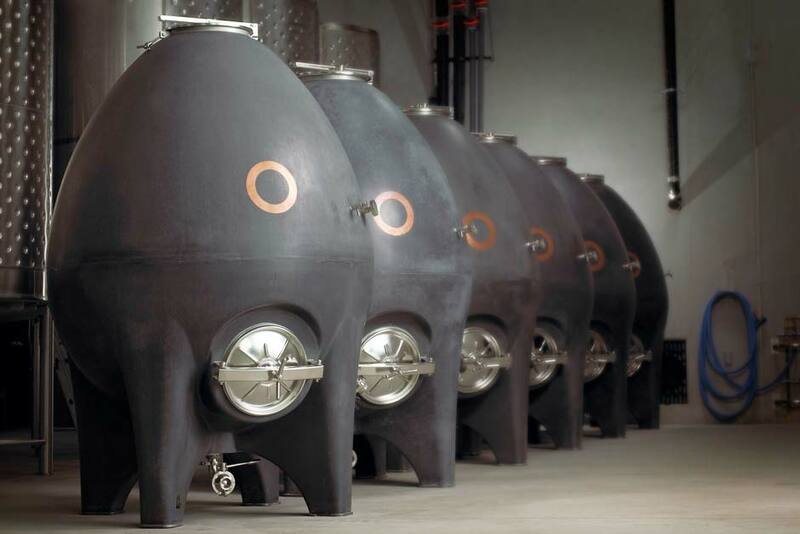 With the soaring costs of winery hardware and oak barrels, it makes a lot of sense for aspiring winemakers and vineyard owners to test the waters in custom crush facilities. This is what we need in the Niagara Peninsula. When Niagara Vintners and their 20 Bees brand went into receivership in April 2008, they had to vacate a newly built 43,000 square foot production facility on 30 acres of land in Niagara-on-the-Lake. 20 Bees was a brave attempt at creating a winegrowers’ co-operative — 19 grower “bees” with Sue-Ann Staff as winemaker. The entire operation, lock stock and barrel, was picked up by Diamond Estates. The facility, I always thought, would have made an ideal custom crush house. Maybe Christine Coletta and Steve Lornie will look east and decide to create a crush pad in Ontario.